Keynote 4: Mr Daniel Mahony - Riding the Tsunami: How will the Next Generation Cope? Keynote 6: Associate Professor John Stevens - Shared Medical Appointments: Is it the next big thing in health care? Keynote 8: Professor Susan Nancarrow - How Can Workforce Flexibility Be Enhanced to Improve Access to Rural Health Services? GNARTN Post-Conference Skill Sharing Workshop: SARRAH delegates participated in a workshop that identified tasks that provide greatest value if skills are shared in a rural and remote context. 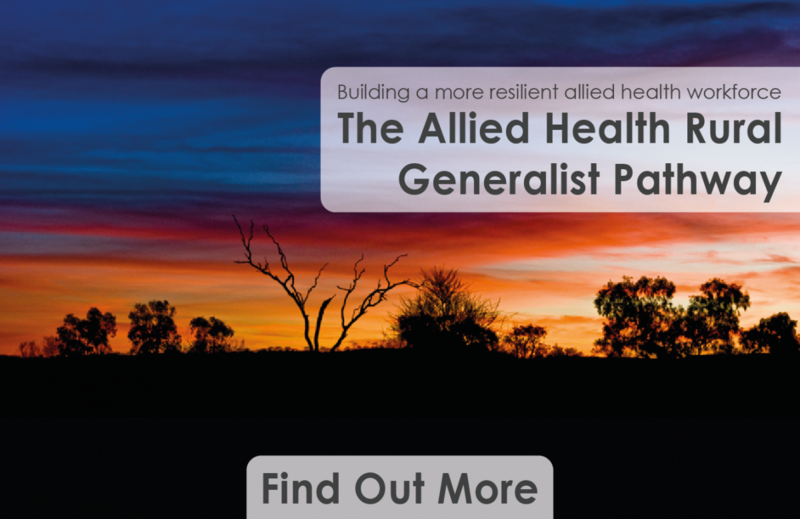 The workshop built on GNARTN's recent Rural Remote Generalist Allied Health Project and identified the most appropriate helath professional groups to be involved in the delivery of fourteen clusters of tasks.